According to findings recently published in the journal Breast Cancer Research, researchers have identified a potential drug target for women with triple-negative breast cancer. To conduct the study, researchers assessed the markers of the surface of breast cancer cell lines; they were compared with the gene expression profiles of breast tumors identified from public databases. Researchers discovered high levels of a molecule called IL13R alpha2 (IL13RA2) on the surface level of the triple-negative breast cancer cells. Researchers were able to predict progression of the disease by analyzing the levels of IL13RA2 in the cancer cells. Patients with a subtype of triple-negative breast cancer had high levels of IL13RA2 in their cancer cells. Researchers decided to use mouse models with triple-negative breast cancer—the team reduced expression of IL13RA2 in the cancer cells. Lowering IL13RA2 was associated with slower tumor growth and a decreased risk of the cancer cells spreading to the lungs. Based on these findings, researchers believe that IL13RA2 plays an essential role in the growth of triple-negative cancer, which suggests that the molecule could be an important drug target for the disease. Researchers are hopeful that this discovery could lead to treatment strategies for other forms of cancer with high IL13RA2 expression, such as ovarian, brain, colon and pancreatic cancers. Thiagalingam, S., et al., “Targeting IL13Ralpha2 activates STAT6-TP63 pathway to suppress breast cancer lung metastasis,” Breast Cancer Research, doi: 10.1186/s13058-015-0607-y, published online July 25, 2015. 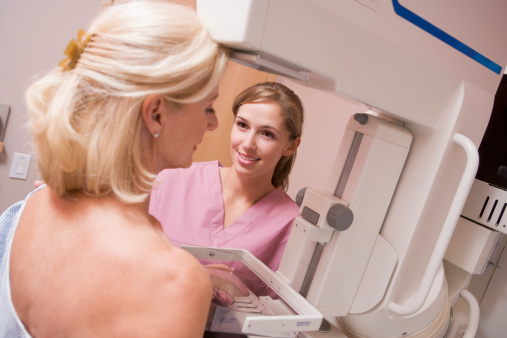 Whiteman, H.N., “Biomarker discovery offers glimmer of hope for women with aggressive breast cancer,” Medical News Today web site, August 3, 2015; http://www.medicalnewstoday.com/articles/297646.php.